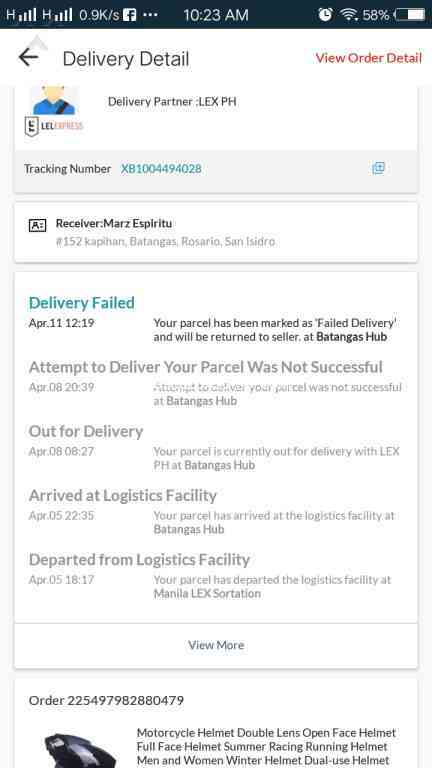 Lazada Philippines - Late delivery!! LZDCB000044995824 Late!!!!! April 11-16 Until now it hasnt been forwarded to lex! Still with the seller! Lazada Philippines - Late shipping. April 11 - 16 delivery date. Its already april 12 and it hasn't been forwarded to lazada. Take note this will come from overseas. I think your courier partner are lazy They said that they attempted to deliver the package but they don't even contact me. Lazada Philippines - My first time buying and it will be the last!!!! 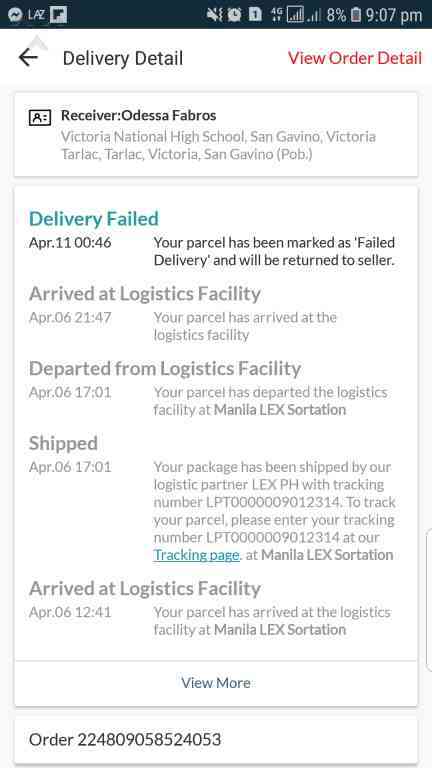 Lazada Philippines - Where is my item? LPB0000000232855 Nag order ako ng barbie bag which is na deliver na based sa update sa tracking no. Ko. Pero asan ang item hindi ko na recieve kanino nila binigay? Cod po yun.